John Gast. 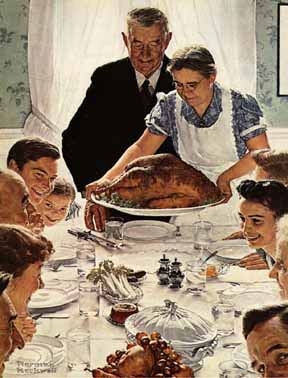 American Progress. 1872 Durand. Kindred Spirits . 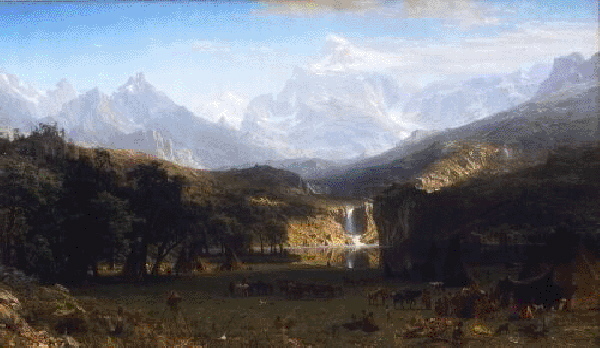 Bierstadt. Pioneers. Durand. 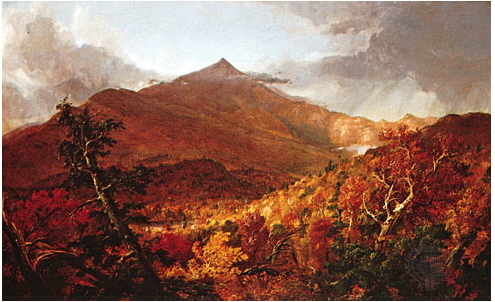 A river Landscape.1858 Frederic Edwin Church. Twilight in the Wilderness. 1860 George Inness. The Lackawanna Valley. 1855. 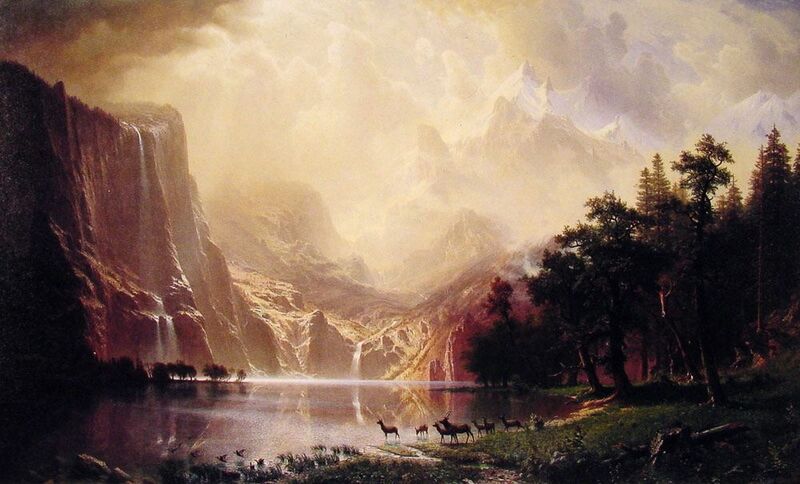 Bierstadt. The Sierra Nevada Albert Beirstadt. 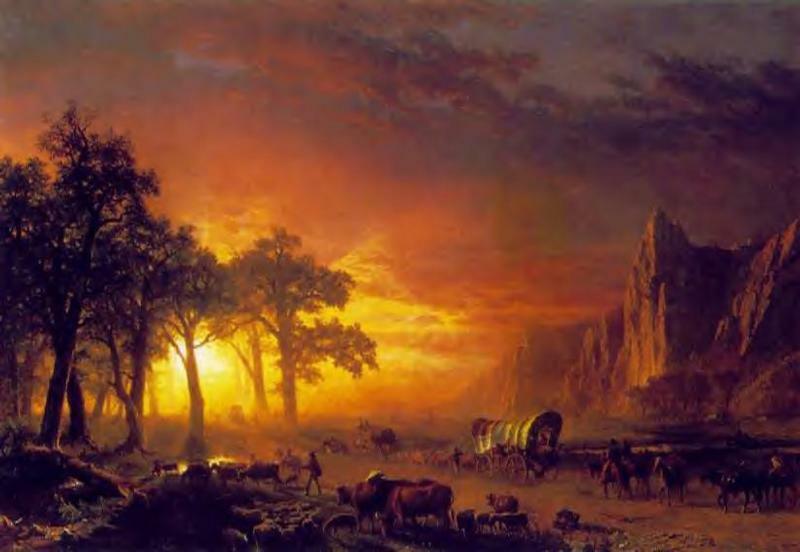 The Rocky Mountains (1863) Cole, Thomas. Shroon Mountain. 1838.